Subscribe TODAY and get this eye opening essay - from none other than - Edgar Allan Poe. Read this highly controversial essay... Where Poe reveals his secrets. 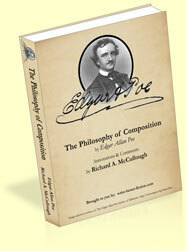 "The Philosophy of Composition" by Edgar Allan Poe one of America's greatest writers, "the father of the short story," and so much more. Plus - Poe's original essay, "The Philosophy of Composition" where he describes in detail his "design process" for writing "The Raven"
Poe's essay may well be one of the most enlightening ever written on the subject of the "story design process". This essay provides a window into the mind of the writer who not only wrote "The Raven" but spawned several genres and whose work has inspired generations of suspense, horror, and even science fiction writers. Although written in 1846, the principles Poe expounds on are every bit as applicable today. These are priceless writing secrets, revealed by a master storyteller. It's very rare that revelations of this magnitude are shared so candidly by a writer of Poe's caliber. Don’t miss out. And don’t miss out on another monthly issue of the WBF e-Zine which brings you original articles, Writers Resources, Tips, Strategies and more - all designed to help you Write Better Fiction Faster that Sells. 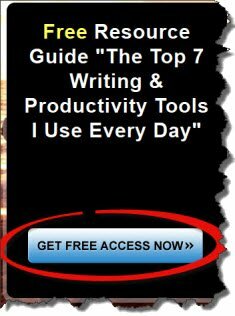 Subscribe Now -- and may your writing career never be the same! P.S. Subscribers will also get access to...the Write-Better-Fiction "Archives" which will contain over 200 original articles. P.P.S. Your email address is safe - we're death on spam. I promise to use it only to send you W.B.F e-Zine .